With the costs of everyday motoring soaring and larger, heavier machines being powered by smaller, more emissions-friendly engines, it’s easy to see why some motorists are less than enthusiastic about driving. Increasingly, consumers are looking for solutions that can both improve their vehicle’s fuel economy and boost the performance of their car without sacrificing precious miles per gallon, or having to resort to buying a newer, more expensive model. Which is why Superchips, Europe’s leading provider of high performance ECU reprogramming solutions for petrol and diesel engine vehicles, is pleased announce the launch of a ‘bluefin’ remap for the best selling Euro 5 110PS 1.5 DCi Nissan Qashqai crossover, which enhances performance, driveability, engine refinement and fuel economy. And with just 108bhp of 1461cc turbo diesel power pulling a hefty 1407 kilos, few would argue that the 1.5 DCi Qashqai requires a performance increase. Happily, the Superchips bluefin ECU remap adds power from just 2100rpm upwards, culminating in a healthy 20bhp gain at just 3721rpm. 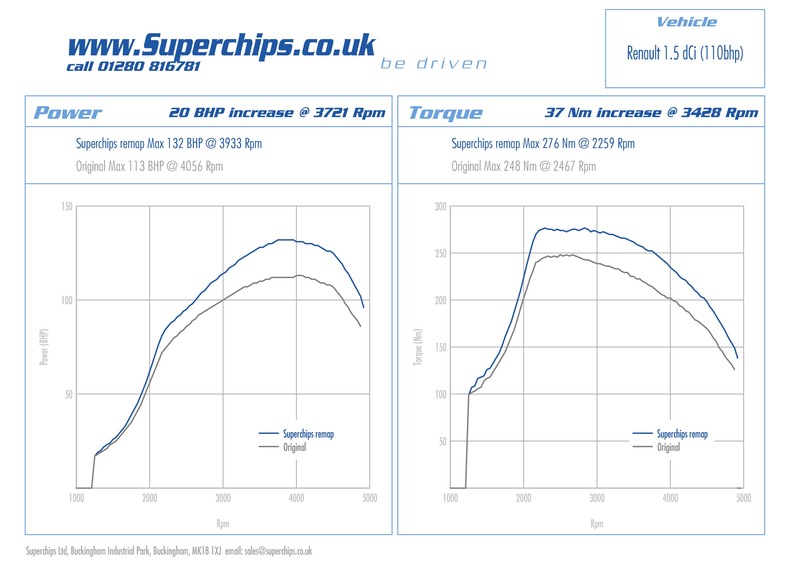 Likewise, Superchips’ technicians have worked wonders on the 1.5 DCi Qashqai’s torque output, extracting an additional 37Nm at a mere 2259rpm, highlighting the flexibility of the upgrade. On the road the extra power and torque from the Superchips enhanced Nissan Qashqai brings the excitement back to daily driving. The 1.5 DCi unit pulls harder throughout the rev range, feeling considerably more responsive, urgent and willing, making overtaking, fast cruising and towing a pleasurable experience. As are visits to the fuel pumps. Independent consumption tests on Superchip equipped vehicles have proven that by optimising the ECU’s settings and increasing the low speed torque output, fuel consumption improves by up to 7% – meaning that the Qashqai’s 54mpg quoted standard figure should be improved upon, even with a power increase of over 18%. And, thanks to Superchips’ market leading bluefin ‘Plug-in and Go’ handset, it’s never been easier for Nissan Qashqai 1.5DCi owners to enjoy the extra performance, economy and refinement of a Superchips ECU remap. No technical skills are required as Superchips’ customers plug the bluefin handset into the Qashqai’s OBDII diagnostic port and then follow the simple on-screen instructions, a process which takes a matter of minutes. As part of this process, the original factory Nissan ECU map settings are stored within the bluefin handset for future use, which means converting the car back to standard is a swift and simple ‘Plug-in and Go’ DIY task. 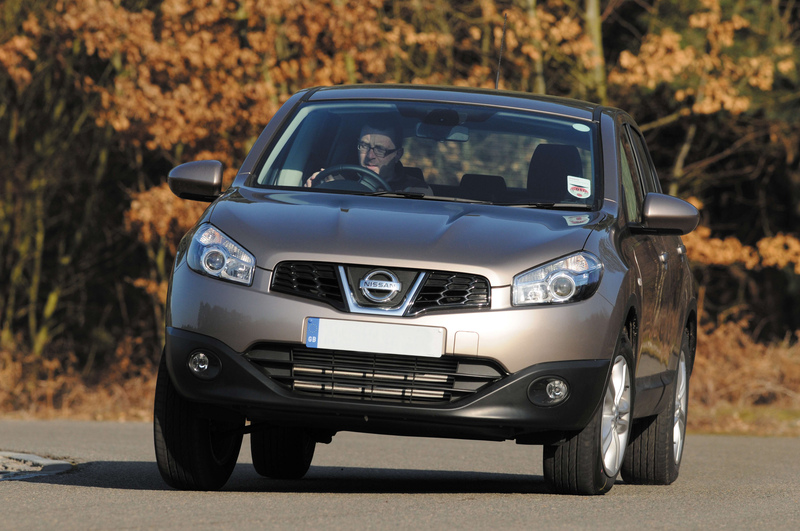 Alternatively, customers can visit one of approximately 80 UK wide Superchips performance centres, where trained technicians can undertake the Qashqai bluefin remapping procedure. Superchips – fall in love with driving again. *Terms and conditions apply, see website for details.